The Seventh Squad reports the Arrests of a man and woman for Robbery that occurred in Wantagh on Friday, August 22, 2014 at 8:40 pm. Wantagh, NY - August 23rd, 2014 - The Seventh Squad reports the Arrests of a man and woman for Robbery that occurred in Wantagh on Friday, August 22, 2014 at 8:40 pm. According to detectives, a 34 year old male cashier working at the American Gas Station located at 3287 Merrick Road observed John P. Vitali, 20, of Nelson Street and Rachel Recht, 19, of 3164 Lydia Lane enter into the store. After a brief conversation Recht exited the store and waited outside as Vitali approached the cashier with one hand in his jacket and demanded money from the register. The victim backed away and the defendant John P. Vitali reached into the register and removed an unknown amount of US currency. Both defendants then fled on foot north on Beech Drive. 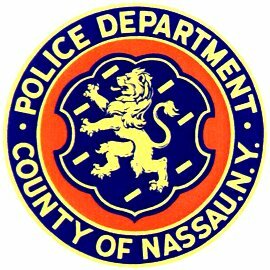 An extensive search was conducted by Seventh Precinct Police Officers, Nassau County Police Canine Unit, Nassau County Air Bureau, and Officers from the Nassau County Bureau of Special Operations Unit. A short time later Bureau of Special Operations Officers observed the defendants on Beech Street riding as rear passengers in a taxi cab. A car stop was made and both defendants were placed into custody without incident. Vitali was found to be in possession of 19 packs of a brownish powder believed to be heroin. There were no injuries reported. The proceeds were recovered. No weapons were displayed. John P. Vital is charged with Robbery 2nd Degree, and Criminal Possession of a Controlled Substance 7th Degree. Rachel Recht is charged with Robbery 2nd Degree. Both will be arraigned in First District Court in Hempstead on Saturday, August 23, 2014. Subject: LongIsland.com - Your Name sent you Article details of "Wantagh Couple Arrested for Robbing Gas Station"